A Jillian Vance Design: Pine Trees and Scattered Snow is what is new and me too! Pine Trees and Scattered Snow is what is new and me too! 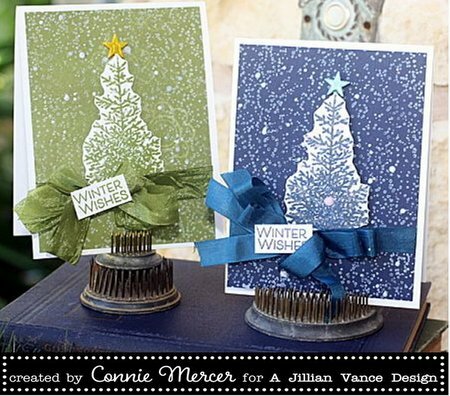 Hi ,Connie here for a year with A Jillian Vance Design. * I live on a ranch with cows, deer and other animals! * I have 6 amazing grands (that I adore). * I love to create and especially stamp. * I'm a BIG Spurs fan!!! Yes basketball, love it!! because of that I go junkin' a lot. Glad to be here at A Jillian Vance Design~thank you for having me! I have been working with two brand new stamps by A Jillian Vance Design. 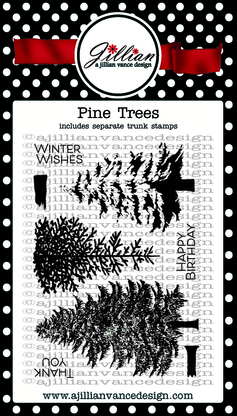 The Scattered Snow background stamp and the Pine Trees set. Love them both!!!! 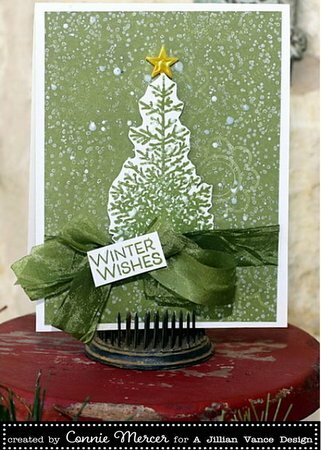 The store is full of great stamp sets that will make gorgeous Christmas cards. beautiful set of cards, connie!! so happy to see you on the design team!! 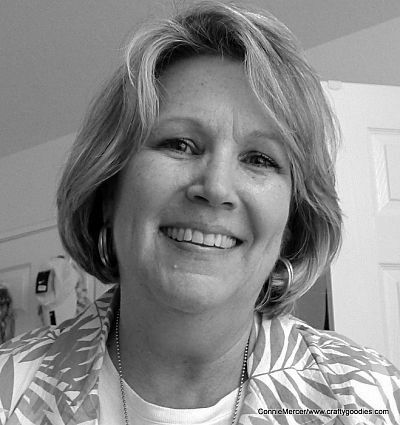 Welcome Connie! 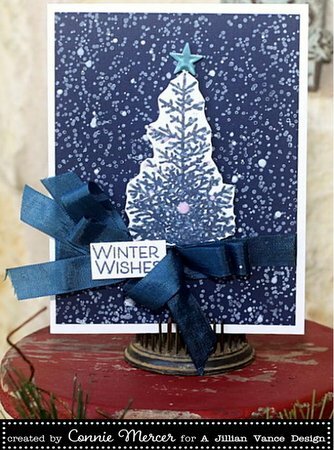 Your cards are simply gorgeous! yay Connie.. big congrats and gorgeous cards.. Cute cards, Connie! I love the colors. These are just gorgeous! LOVING the trees!!!!!!!!!!!!!!!!!!!!! !